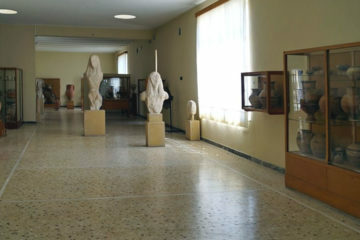 The Museum of Prehistoric Thira in Fira is a new museum which hosts findings from excavations conducted mainly in Akrotiri and other sites on Santorini like Potamos. 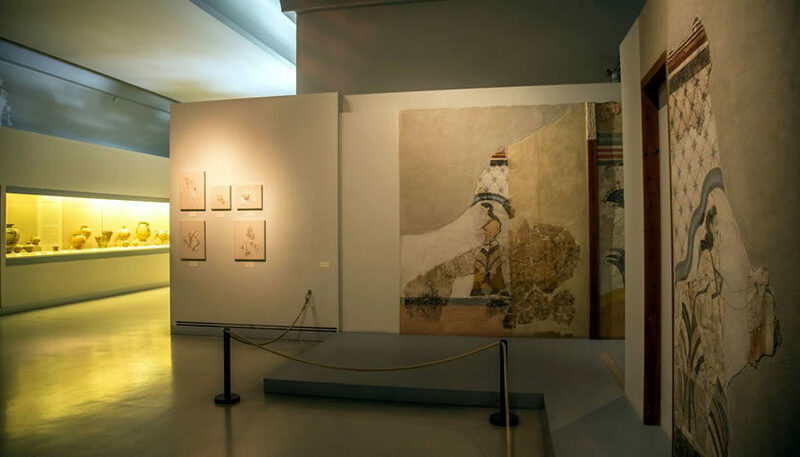 The exhibition is structured in four thematic sections containing findings dating from the 5th millennium B.C. (late neolithic era) to the 17th century B.C. 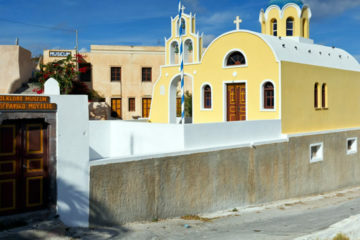 The four sections present the history of research at Santorini and the excavations conducted in 1967 in Akrotiri, the geology of the island and the volcanic activity over the years, the island’s history from the late neolithic to early 17th century B.C. and the flourishing period of Akrotiri in the beginning of the 17th century B.C. The museum houses a big number of ancient artifacts like decorative ceramics, religious and ritual objects, stone and ceramic vases, bronze tools, and complex wall paintings. Some of the most impressive exhibits are the glowing gold ibex figurine, measuring around 10cm in length, dating from the 17th century B.C. which was discovered in mint condition in 1999, the fossilized olive tree leaves from within the caldera, which date back to 60.000 B.C. and some marvelous frescoes. The ticket price for the Archaeological Museum of Thera is €3 (reduced ticket €2), while there is free admission for students of EU member states and persons up to the age of 18. 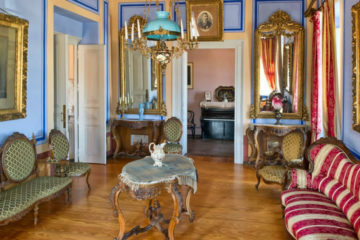 It is worth buying a 4 day ticket that costs €14 (reduced €7) and allows the entrance in Museum of Prehistoric Thira, Archaeological Museum of Santorini, Prehistoric Town of Akrotiti, Ancient Thira and Pyrgos’ Icons and Relics Collection.